Regular readers remember Derek Goodman from his stories in issues #4 and #6. Brandon Bell appeared in #1 and #5. Both writers have stories in the recently published anthology Things We Are Not. 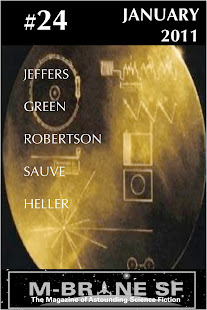 I have recently announced the April publication of Goodman's book Machina, while Bell will co-edit next year's anthology The Aether Age. Gustavo Bondoni previously appeared in M-Brane SF in issue #8, and the remaining writers will make their first appearances in this zine in the upcoming issue. SPECIAL: Cesar Torres's story "Victoria," was added to the line-up last week and it is something quite special. "Victoria" is one of a cycle of twelve very short stories which will appear together in a lovely book titled The Twelve Burning Wheels to be published by M-Brane SF in the very near future. 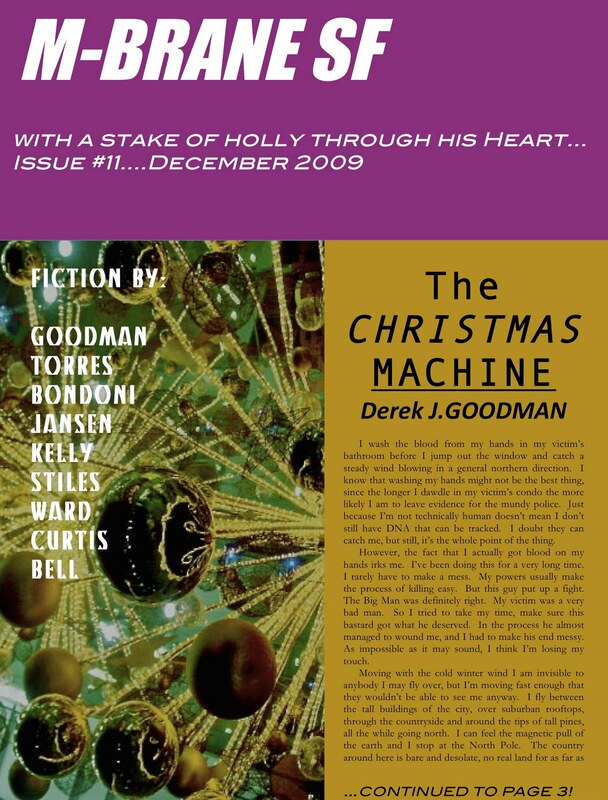 The exact date of publication will be announced sometime during the coming weeks, and I am delighted to offer this taste of it in the December issue of the zine. Cesar is a writer of vast, expansive imagination and enthralling style, and I know everyone will enjoy this story in the December issue and its eleven companions when the full collection is released. Looking forward to checking this one out. Cesar Torres is a great writer!